You are here: Home » Snoopy and the Red Baron! A new teaser trailer has hit the web. This time it involves Snoopy and his enemy, the Red Baron with a great chase through the skies of Europe. Listen to the soundtrack and you should fill you with a sense of nostalgia from the classic TV shorts. Unfortunately, the more I see of the film, the more I get a feeling of dread. Some of the things that we have seen over this film has been great. The teaser poster is one of them. That was what I was expecting in the film and not some sort of plastic version of the beloved characters. The other thing that is a bit annoying is the film’s title when it hits screens later this year in the UK. Snoopy and Charlie Brown: The Peanuts Movie. 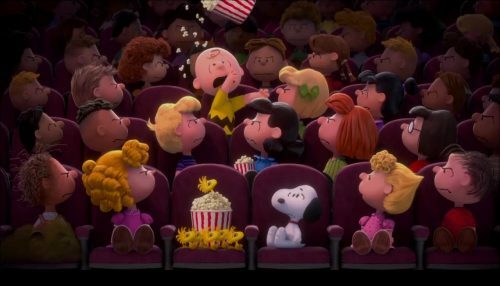 It’s called simply The Peanuts Movie in the US.